On the C concourse of Port Columbus, at the end of a row of vending machines, sits this colorful Ohio Lottery device. It apparently allows you to play virtually every game the Ohio Lottery offers — from the scratch-off instant games to the full lottery drawing decided by the rattling ping pong balls. I guess there must be some bored travelers who might want to pass the time waiting at gate C52 by getting a mini gambling fix, and if so, the Ohio Lottery is happy to help them feed the beast. Turn on a football game, and you’ll see incessant ads for Draft Kings and Fan Duel. The little fantasy football group at the office has morphed into a big business with commercials with footage of exuberantly celebrating winners and testimonials where players talk about their winnings and the thrill of competing for cash. And, of course, Ohio is now home to three casinos and a number of “racinos” that combine horse racing with hundreds of slot machines. 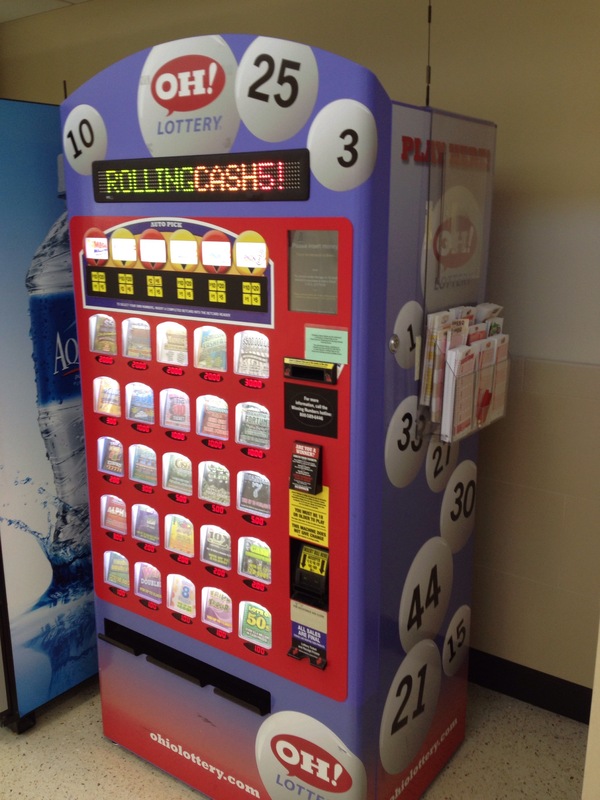 No matter where you live in the Buckeye State, you don’t have to drive far to plop yourself in front of a one-armed bandit with a cup of quarters. And if you go to a bar after your racino visit, odds are there may be a Keno game available for your enjoyment as you sip your beer. We live in an era where it’s easier to gamble than it ever has been before. Does anyone think that’s a good thing? In Atlantic City, New Jersey, the newest and largest casino — a $2.4 billion ultra-modern complex called Revel — is closing after operating for less than three years and never turning a profit. Two other casinos, the Showboat and the Trump Plaza, will be closing later this year, and a fourth casino closed at the beginning of 2014. In Ohio, revenues from the state-licensed casinos are down at five of the six casinos that have been open for more than a year. Casino operators, always on the lookout for that extra shekel, are hoping to win approval for plans to make up for a bit of that lost revenue by putting slot machines in smoking areas so smokers can feed the one-armed bandits while puffing away. In both places, the cause for the decline in revenue is the same: competition. Atlantic City casinos were hurt by the opening of a number of small casinos in neighboring Pennsylvania. In Ohio, new “racinos” — race tracks that are licensed to operate row after row of slot machines — are coming on line so that by the end of the year the state will have four casinos and seven racinos to compete for the gambling dollar. Ohio now has gambling outlets throughout the state and in four neighboring states, and casinos can be found in cities and on native American reservations up and down the east coast. The falling casino revenues and closures are bad news for employees who lose their jobs — Revel had more than 3,000 employees who will need to find new employment — and for government planners who adopted rosy casino tax revenues in their budgets, but it’s not necessarily bad news for the rest of the country. The struggling fiscal performance of all of the new casinos clearly indicates that there is a finite population of gamblers in the United States, and that pie is not growing. Perhaps the data means that most Americans would rather get and keep a job, save their hard-earned wages rather than risking them at games of chance, and achieve financial independence the old-fashioned way? If so, such a show of prudence is encouraging. Now, if only governmental leaders who are all too happy to adopt budgets bloated with pie-in-the-sky casino revenue projections would begin to exercise the same kind of restraint . . . .
Ohio regulators recently released a report about revenues earned by Ohio casinos. Coming less than a month before the fourth and final casino, in Cincinnati, is to open, the report indicates that the casino takes may be slowing. The question for now is whether the Ohio gaming market is saturated. Ohio used to have no casinos, but it was surrounded by casinos in Michigan, West Virginia, Pennsylvania, and Indiana. 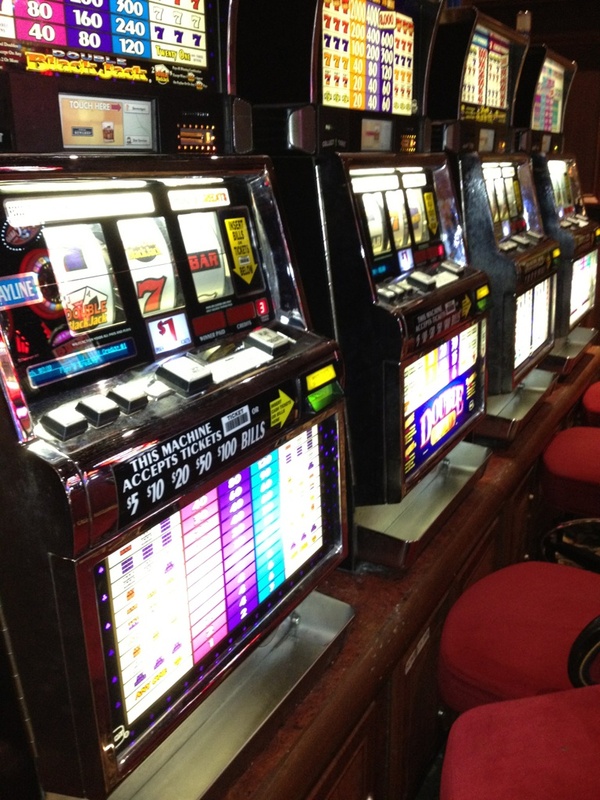 Now four full-blown Ohio casinos have been added to the mix, as well as “racinos” — horsetracks that have slot machines. 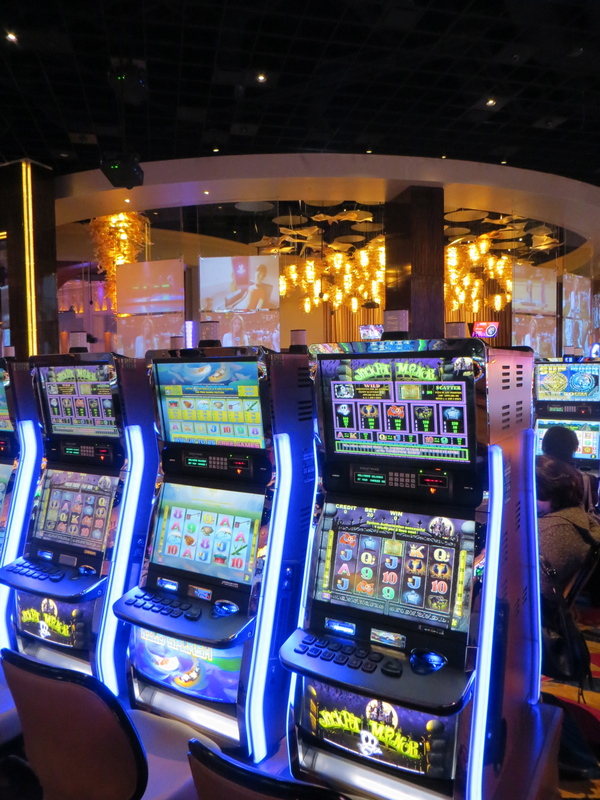 In the Columbus area, Scioto Downs features more than 2,000 machines and is packing in people who just want to play the slots. Some Columbus gamblers apparently think the slots are “looser” at Scioto Downs than at the Hollywood Casino, and they’d rather play where they have a better chance of getting a jackpot. Ohio regulators seemingly recognize that the market for gambling isn’t as robust as was forecast when Ohio voters first approved casinos. The Ohio Department of Taxation originally estimated $1.9 billion in annual tax revenues from the casinos, but this year’s state budget anticipates less than $1 billion in tax revenues from the casinos. With new casinos coming on line, racinos providing competition, and casinos in surrounding states trying to hold on to their Ohio clientele, who knows whether that number is realistic or just another gamble? I’ve always questioned the credibility of casino revenue and job forecasts, because I believe there are only a limited number of people who are interested in gambling. People who don’t want to gamble aren’t going to start just because a casino opens nearby, and people who do like to gamble can only go to so many places on so many occasions. If the Ohio gambling market isn’t growing, then all of the casinos, racinos and other competitors are just going to be tussling over the size of their pieces of an unchanging pie. On Sunday, Russell, UJ, and I visited the Hollywood Casino, one of four casinos built in Ohio after the passage of a constitutional amendment in 2009. It’s far out on Columbus’ west side, off Broad Street, near the intersection of I-70 and I-270. We wanted to check out the place and watch one of the NFL playoff games. My expectations were low; I’m not sure why. I envisioned a dim interior packed with slot machines and grim-faced people, but instead we found a vast, brightly lit space that risks putting patrons into sensory overload. Every slot machine, of course, has neon lights and colorful themes (how much do the artists who design the pirates, genies, and other characters on slot machines get paid, anyway?) but the decor itself was interesting, with attractive light fixtures far overhead, tall round pillars with changing video presentations, enormous TV screens everywhere you look, and huge movie billboards covering the walls. We landed in o.h., one of four restaurants inside the casino, to eat and watch the first half of the 49ers-Falcons game. (o.h. is an apt name, because every true Buckeye will be tempted to add “i.o.” — and after a few hours gambling, they may be right.) It’s a great place to watch a game. There are dozens of large flat screen TVs circling the dining area tuned to every imaginable sporting event, including professional bowling. The bar next door features a much more immense main screen and would be a fine venue for a beer or two and some serious football viewing. We tried the philly steak egg rolls and twisted nachos made over crinkle-cut potatoes, followed by a pepperoni pizza. All were tasty and served hot by very friendly wait staff. More surprising to me was that the prices were reasonable and in line with what you would expect to pay at a regular bar or restaurant. After we ate our food and watched the first half of the game, Jim and Russell tried their hands at games of chance. I’m too cheap to be a gambler, so I strolled around taking in the table games areas, the high roller enclave, and the other parts of the casino. The place was crowded, and people seemed to be having a good time on a cold and windy Sunday afternoon. The casino is open 24 hours a day, 7 days a week. We’ll see how it looks after a year or two of wear and tear, but for now it looks like the Hollywood casino is off to a profitable start. How Are Those Ohio Casinos Doing? 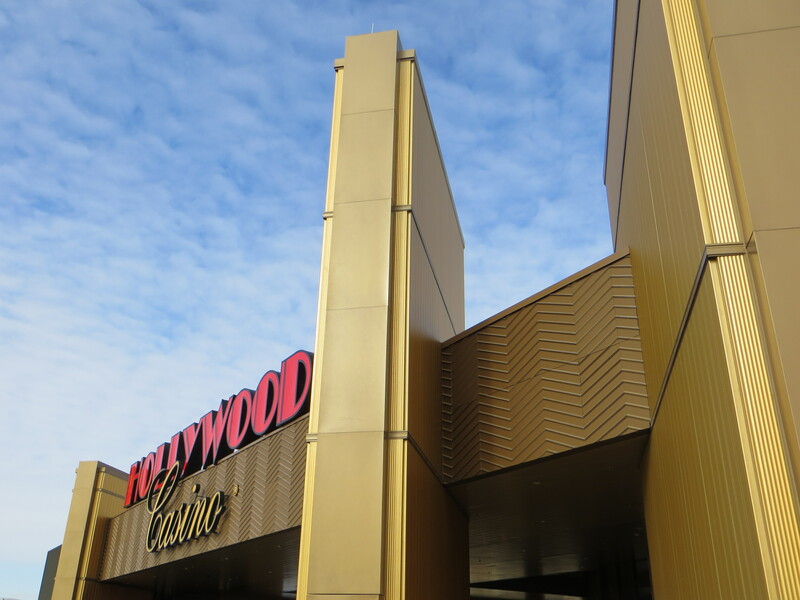 Earlier this month, the Hollywood Casino opened on the outskirts of Columbus. About 25,000 gamblers showed up for the opening day festivities. In 2009, Ohio voters approved a constitutional amendment authorizing the construction of four casinos — one each in Cleveland, Toledo, Columbus, and Cincinnati. When the constitutional amendment was considered in 2009, state officials estimated that the 33 percent tax on gross casino revenues from the four casinos, plus approved video lottery terminals, would produce $470 million annually in tax revenue. The promise of that kind of tax contribution, plus the jobs the casinos would create, caused Ohio voters to end their long-standing opposition to casino gambling in the state. The Columbus casino is the third to open, following casinos in Cleveland and Toledo. It’s early yet, but the trend lines in Cleveland and Toledo aren’t knocking anyone’s socks off. For both of those casinos, June was the first full month of operation — and also was the high point for revenue, which has declined every month since June. In Cleveland, revenue has declined from $26.1 million in June to $21.1 million in September; in Toledo, revenue has dropped from $20.4 million in June to $15.9 million in September. 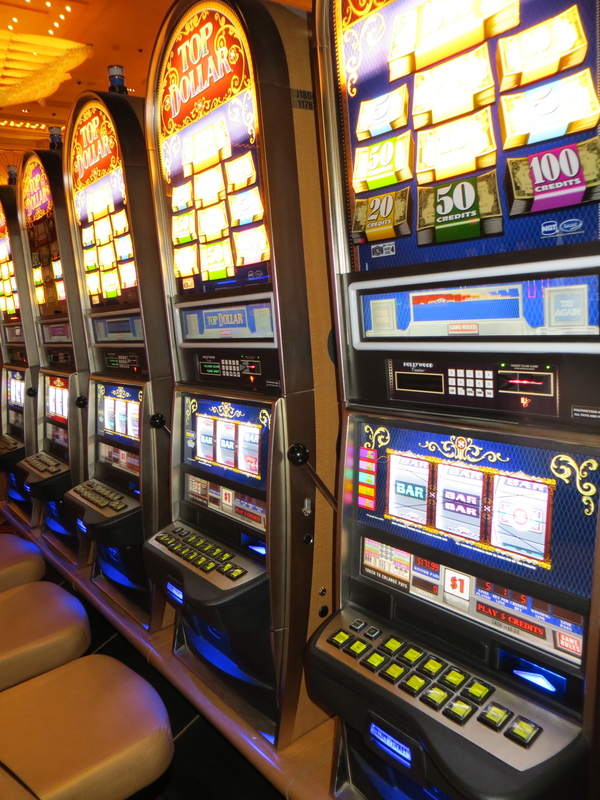 The casino operators and experts say that the novelty of a new casino wears off and it takes a while for standard gambling patterns to get settled, and that the Ohio casinos might not follow the patterns seen in other locations. The casinos also are tweaking their operations as they learn their markets; in Cleveland, for example, the Horseshoe Casino is now formally welcoming bus tours and providing some slots credits to entice bus visitors. A few months won’t tell the tale, of course, but you have to wonder if we’ve reached the casino saturation point in this country, and there just isn’t that large of a market for more casino gambling. 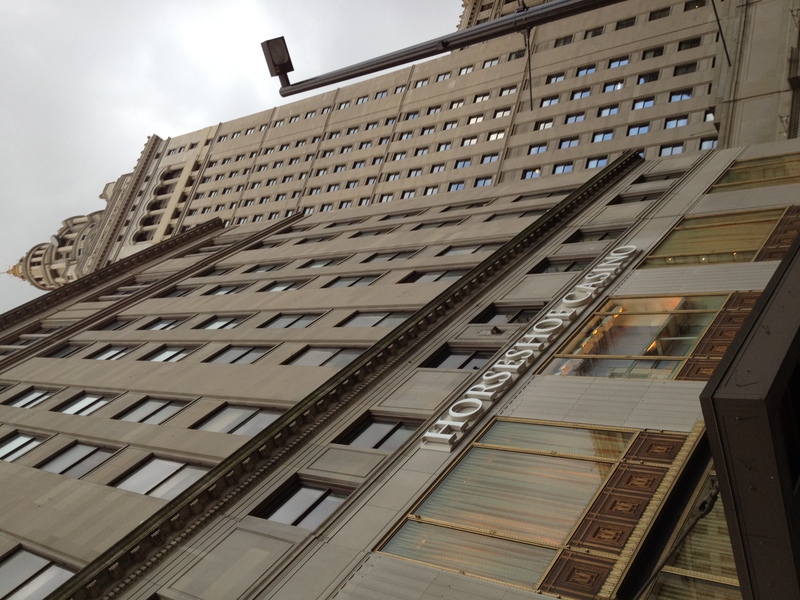 On Monday Cleveland’s Horseshoe Casino opens. It will be the first to open of the four casinos Ohio voters authorized when they passed a constitutional amendment several years ago. The casino, which is located in the heart of downtown, right on Public Square, next to Cleveland’s landmark Terminal Tower, has been the focus of significant hope and concern. The hope is that the casino will kick start the struggling downtown economy by bringing jobs, foot traffic, and tourist dollars to local restaurants and businesses. In some ways the casino has already delivered on some of the hope; it is housed in a vacant space formerly occupied by a closed department store that had to be refurbished, and it has hired workers to deal cards, serve drinks, and do the other things that casino workers do. The concern is that the Public Square location might not show Cleveland off to the greatest advantage. It is an extensive open area that is frequented by vagrants and panhandlers; it’s also the place where RTA riders board buses and vice versa. Clevelanders fear that casino visitors who see homeless people in the surrounding area might not venture out to explore the rest of downtown Cleveland — and the hoped-for broader economic impact won’t materialize as a result. In an effort to spiff up the area, Cleveland police have increased their patrols and worked to roust vagrants from the area. The big question with casinos as an engine of economic activity is whether visitors will leave the casino grounds and check out the rest of the area. 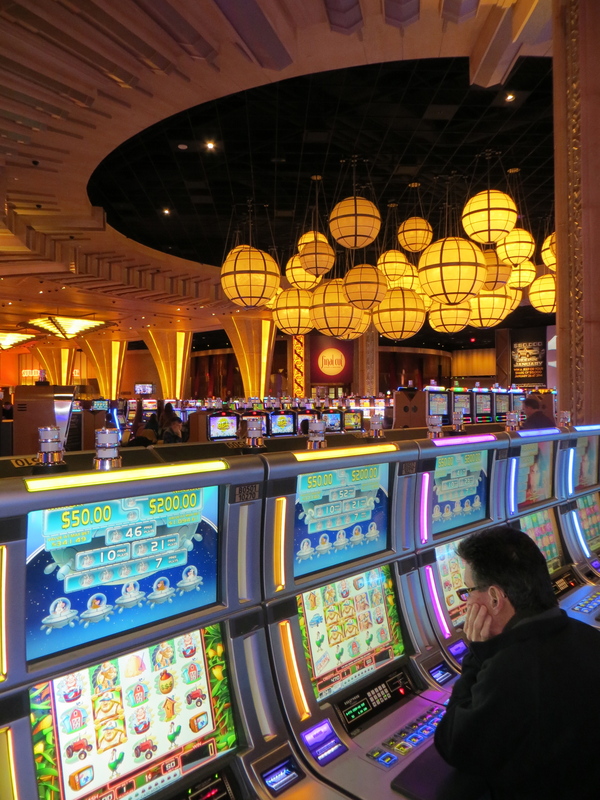 If casino patrons don’t feel secure enough to do so, they’ll just stay in the casino, punching buttons on their slot machine of choice and eating and drinking the casino’s fare. The challenge for Cleveland is to do what it can to prevent that from happening.